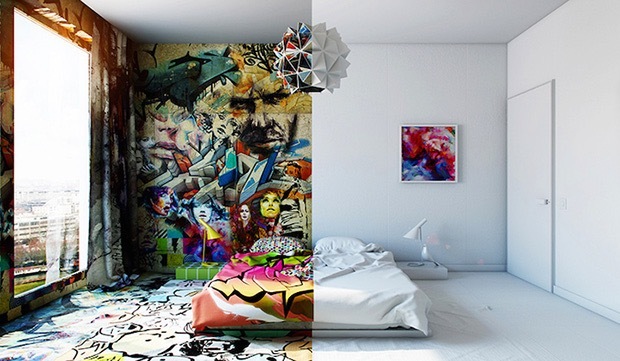 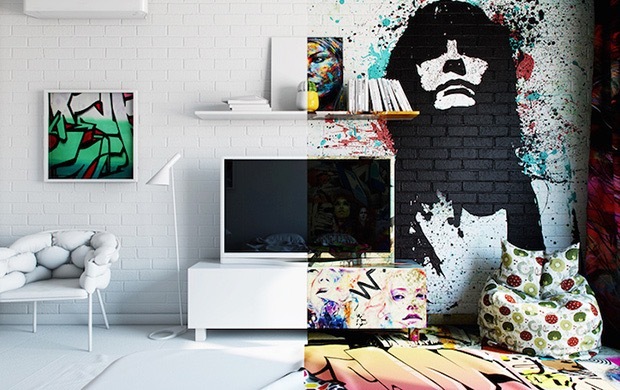 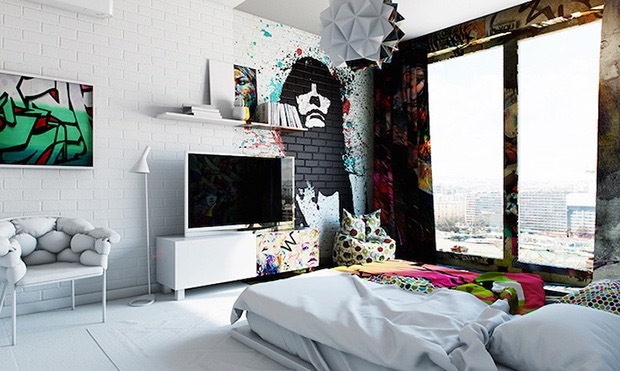 No, this isn’t some kind of Photoshop trickery, the bedroom you are seeing is actually perfectly split in half, with one side being almost totally white and the other one being entirely graffitied. 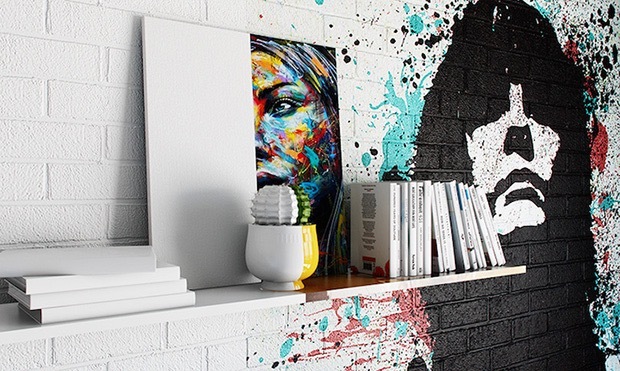 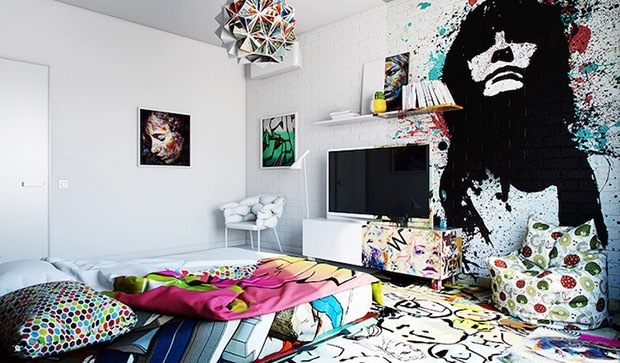 This surreal space is a creation by Kiev-based artist Pavel Vetrov, and is probably the most noticeable kind of contrast we have ever seen in a room’s interior. 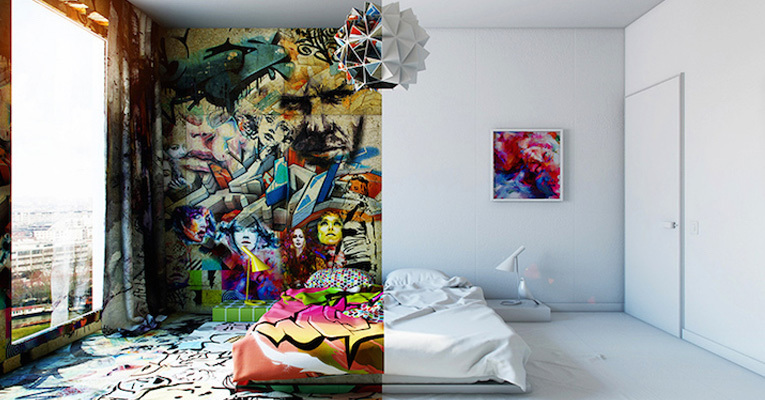 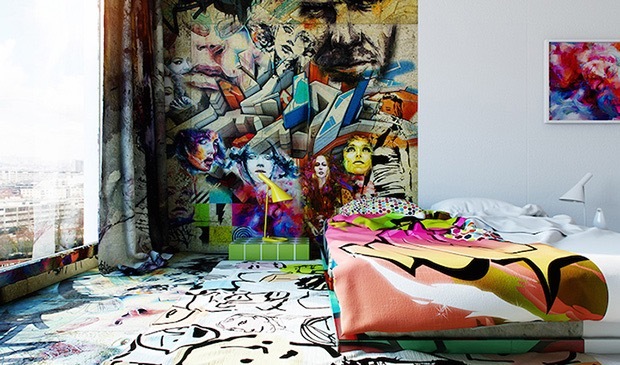 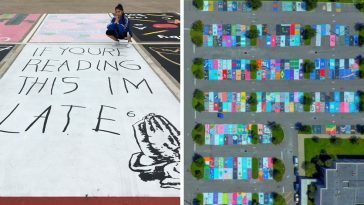 Lying on the bed placed at the center of the room should be a really particular experience: turning on your right all you see is a colorful, graffitied space, probably an ideal environment if you need to create, but just lie on your left side and all you see is a relaxing, minimalist space to empty your mind of all thoughts.